The signs and symptoms of stroke differ from person to person but the most common among all those who suffer from it is its sudden onset. Since it involves the brain and its different functions, your symptoms will depend on the affected part of your nervous system, particularly the brain, and the degree of the injury. Look at their face. When the face drops on one side and the person finds difficulty in smiling and/or their mouth or eyes will have become drooped, it is a sign of stroke. Notice the person’s arms. The person with suspected stroke is unable to lift either arm and keep it raised because of arm weakness or numbness. A person’s speech may become slurred or distorted or the person may turn out to be incapable of talking about anything at all despite the fact that they appear to be awake. Once you suspected that you or someone else to be suffering from stroke based on the signs and symptoms we listed above, immediately dial the emergency hotline and ask for an ambulance. Even if the symptoms of a stroke disappear while waiting for the ambulance to arrive, stay vigilant and go to the hospital for an assessment. Symptoms that disappear quickly or in less than 24 hours is a category under transient ischaemic attack (TIA) and you or that person could still be at risk of having a full stroke in the near future. After the initial assessment, the doctor may suggest the need to be admitted at the hospital to receive a more in-depth assessment and for specialist treatment to begin when necessary. 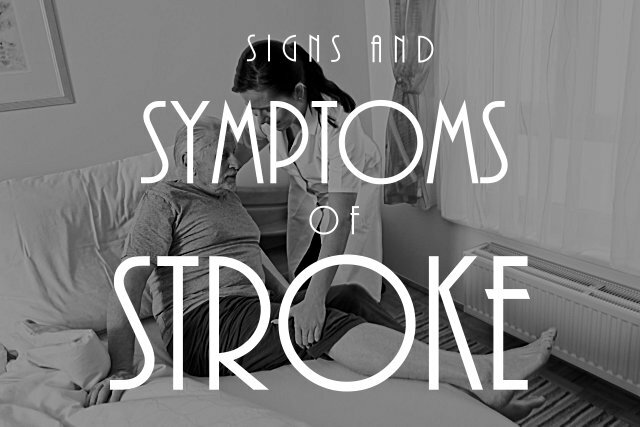 It is important for everyone to be educated about these signs and symptoms, especially if you are caring for someone who is very susceptible to stroke like people with diabetes or high blood pressure. A little knowledge could save your own or other people’s life. American Safety Options, Inc. helps promote your safety by acting as a Home Health Agency in Newtown Square Pennsylvania that can recommend you to some healthcare practitioners near your area to attend to your needs in your home. For more details, visit www.americansafetyoptions.com.